Know more truth About AdarshRead More! To Know Whole History About AdarshRead More! 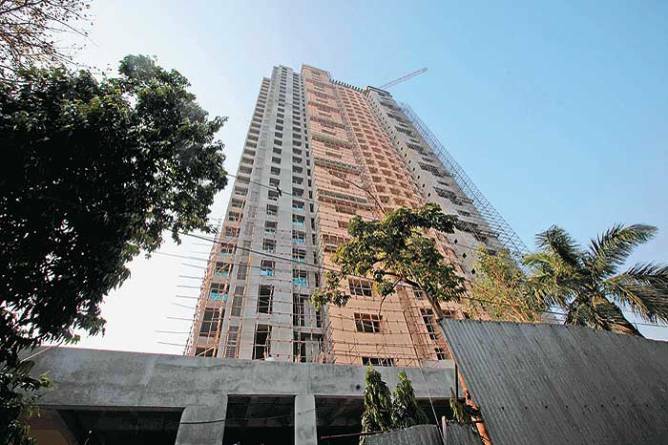 The Adarsh Cooperative Housing Society (CHS), Colaba was allotted state government land by the Government of Maharashtra as per a well-established procedure and was granted various permissions as per law by the Planning Authority. The entire Adarsh controversy hyped by media was a machination of jealous generals, mediocre bureaucrats and novice policemen. The Generals fraudulently claimed that the plot allotted to Adarsh was owned by the Ministry of Defence although the records of the Defence Estates show that it is a state government land. Some bureaucrats, who did not study the issues carefully, wrongly reported that the clearances given to Adarsh CHS were not legal and the policemen registered a criminal case without ascertaining the ownership of the land and without understanding the state government’s procedure in allotting isolated pieces of land. Allotment of land: In Maharashtra, there is a well-settled policy of allotting isolated pieces of state government land to Cooperative Housing Societies. Numerous societies have been allotted plots under this policy during the last fifty years and there was no special favour to Adarsh CHS. Former Governors, former Chief Ministers, retired Chief Justices of the Supreme Court of India, retired Cabinet Secretaries to the Government of India, numerous bureaucrats, M.L.A.s and senior police officers have been past beneficiaries of Cooperative Housing Societies granted as per this G.R. Adarsh CHS is only one amongst the many Cooperative Housing Societies that have been granted land under this policy. Ownership of land: The entire Backbay Reclamation was carried out by the state government of Bombay. Out of the eight block of Backbay Reclamation, only Block VIII and Block VII were bought by the Ministry of Defence, and the remaining blocks are owned by the government of Maharashtra in the Revenue Department. The plot of land allotted to Adarsh CHS is from Block VI, which was never bought by the Ministry of Defence. The Ministry of Defence did apply to the Government of Maharashtra for transfer of BBR VI during 1958. However, this request was rejected by the Government of Maharashtra in 1964. In fact, the HQ Maharashtra, Gujarat and Goa area have replied to an RTI query on 2 March 2010 that the Adarsh land is a state government land and no area around the building is notified under the Works of Defence Act, 1903. Possession of land:The Ministry of Defence was never in legal possession of land. The land was illegally fenced by some military officers from private funds to get the land allotted to their private housing society and also to prevent further proliferation of slums. 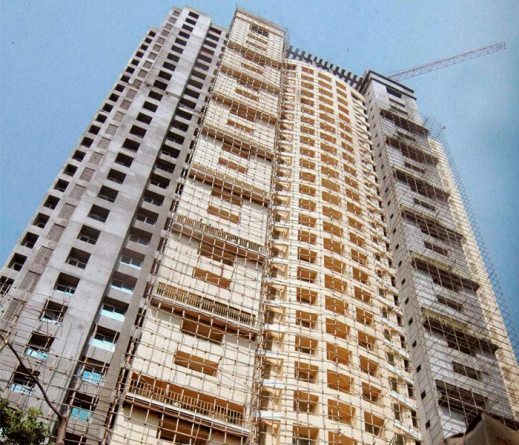 Security Concerns:It is worth noting that nobody showed any security concerns for a period of five years during which Adarsh building was under construction from 2005 to 2010. Vice Admiral Sanjeev Bhasin started raising security concerns when his own society could not get allotment of land on a nearby plot. There are many civilian multi-storeyed buildings in the nearby areas including two, Oyster and Dolphin, well within the Colaba military area. If there were genuine security concerns, Ministry of Defence could have notified the area under the Works of Defence Act, 1903, something they have not bothered to do until now. Reservation on the land: There was no reservation on the said land, either for Kargil heroes, Kargil widows or for defence personnel. Its allotment was under government resolution of 1999, under which 20 percent of the members should be from the backward classes. The Society has fulfilled this requirement. Reduction in width of Prakash Pethe Marg from 200’ to 60’: The reduction of road width of the Capt. Prakash Pethe Marg was carried out after following the due process of law under S. 37 of the Maharashtra Town planning Act, since a 200 feet wide road was considered no longer necessary. Whether DCR 67 or DCR 91: The Society was given all the building permissions under the Development Control Rules of 1991. Subsequently it has been argued that the plot being in CRZ-II area, actually Development Control Rules of 1967 should have been applied to this case. The Society has no objection even if 1967 Rules are applied in its case. Deletion of reservation of piece of land reserved for BEST: Some bureaucrats have alleged that the use of S. 50 of the Maharashtra Regional and Town planning Act for deletion of reservation for the BEST on the second plot allotted to the Adasrh Society was illegal. Considering the judgment of the Hon. Bombay High Court in the Judges’ Society case, the use of S. 50 of Maharashtra Town and Country Planning Act in the Adarsh case was entirely legal. Moreover, if the 1967 DCR is applied in this case, then the deletion of reservation was not even necessary since the reservation did not exist as on 19.02.1991. Alleged violation of FSI (Floor Space Index): The building permissions of the Society were processed under the 1991 DCR and the society was permitted lift and lobby areas free of FSI. It has been contended that these areas were not permissible under the 1967 FSI and hence the Adarsh society had used an FSI of 1.77, in excess of 1.33. However, if the 1967 DCR is to be used, then the MMRDA had powers to grant FSI up to 3.5. Thus, even if it is held that the Adarsh CHS has utilized FSI of 1.77, still it is within the powers of the MMRDA, the Planning Authority, to sanction the same. Alleged violation of CRZ (Coastal Regulation Zone): Before 22 April 2003, MoEF had delegated the work of CRZ permissions to the state government. These permissions were given by the Urban Development Department at that time. The society was given N. O.C. for its development on 15 April 2003, at which time neither the permission of MoEF not that of MCZMA was necessary. 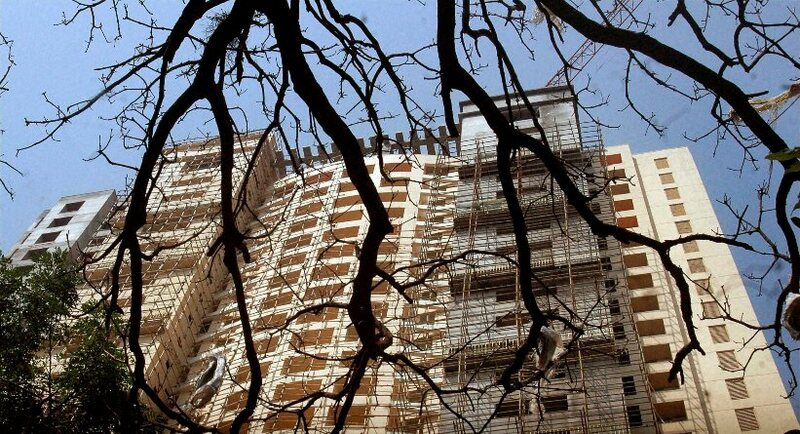 Merger of plots: It has been further alleged that the two plots allotted to Adarsh C.H.S. were not formally merged and hence the Adarsh society could not have used the F.S. I. of the other plot on the first plot. There is no such requirement. In fact, the headquarters of the Government of Maharashtra, Mantralaya, is itself constructed on ten plots which are not merged. Even in the CRZ areas, the MCZMA, in its 43rd and 45th meetings has cleared development proposals on two or more plots without their formal merger.